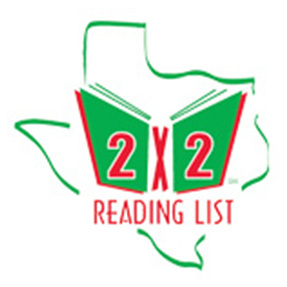 The mission of the 2x2 Committee is to produce a list of 20 recommended books for children age two to grade two. The 2×2 list can be used by parents and caregivers to introduce children to a variety of quality books that will pique their interest and imagination, as well as encourage independent reading. A committee comprised of eight members of the Children’s Round Table who are actively involved in delivering library services to children develop the annual list. To accomplish this, the committee reads widely. And when we say widely, we mean each year committee members read, on average, over 700 books. Each month, May-November, committee members nominate 5-10 titles to our official consideration list. What are we looking for? In short, we are looking for excellent books that will excite readers, books that are visually appealing and appropriate for both the content and the intended age-level. We are looking for inclusion through diverse outlooks, stories, genres, formats, genders, geographic environment, ages, and ethnicity. Books must have a review from a professional journal. Our focus on professional reviews is because library collection development policies are often dependent on multiple positive reviews from professional journals to ensure that money is spent in the most responsible way possible. Suggestions of books for the committee to consider for inclusion on the reading list may be made by librarians, teachers and parents. You must have read the book. The content of the book must be age appropriate for children two years through grade two. The copyright date must be 2019 for the 2020 list. Only book formats are eligible. The book must have an English text, but dual language and translations will be considered. The book must have received a favorable review in a reviewing source. Ineligible categories of materials are textbooks, abridgments, and new editions or portions of books previously published. Suggestions for the next list must be submitted by November 1, 2019.